What Are The Odds of Conor McGregor Knocking Out Floyd Mayweather In Under 4 Rounds? 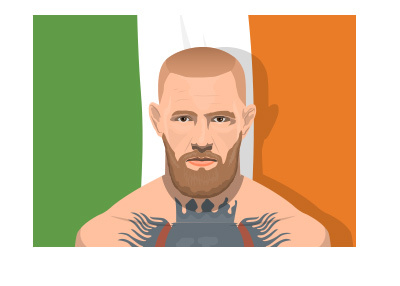 During the first stop on the May/Mac promotional tour, UFC Lightweight champion Conor McGregor made the bold proclamation that he would knock out Floyd "Money" Mayweather within four rounds. McGregor is known for his accurate prediction skills - so much so, in fact, that he has earned the nickname "Mystic Mac". McGregor's bold words led one Las Vegas sports book (The Westgate Las Vegas Superbook) to release odds on the probability of McGregor knocking out Mayweather within four rounds. Will McGregor Win Fight In Rounds 1-4? According to these odds, a successful $100 wager on McGregor knocking out Mayweather within four rounds would produce a total profit of $1,000. On the other hand, if Mayweather can avoid getting knocked out in the first four rounds, a successful $100 wager would yield a total profit of $5. Most people think that if McGregor has a chance of winning this fight, it will be via some sort of early flash knockout. If Mayweather survives the first four rounds, on the other hand, there is an almost unanimous opinion that he will win the fight. Can McGregor stop Mayweather within four rounds?